Greetings precious warriors of the Most High! Below you'll find another week of crazy news you probably won't hear on TV. These are not meant to cause fear. For perfect love casts out all fear. What is that perfect love? The love of Jesus, who promises to keep watch over us and our families. Huge 10 foot wave decimates Indonesian island after a major earthquake. Check out all the earthquakes and typhoons! Persecution in China is getting worse and worse daily. Is Russia developing air-launched satellite killer? Sabrina, the teenage witch is back and more satanic than ever! 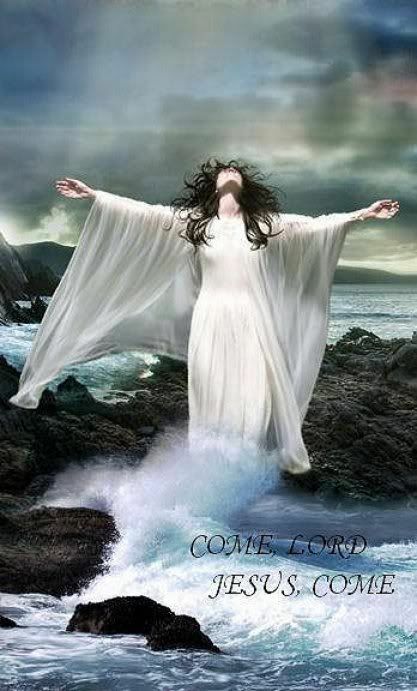 That picture is so me at times....come, Lord, come! Have a wonderful time with your family. You and George are in my prayers.